Believe it it not, this week and next week are when we start to see our first fall colors. 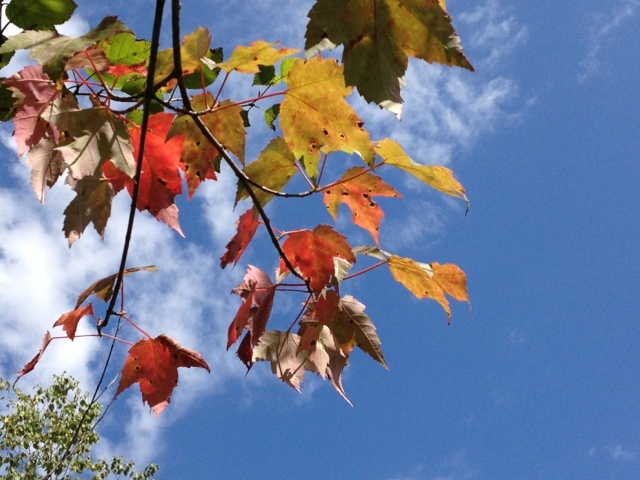 Some of the maple trees in the bog at work are starting to change into their fall colors. There's a tree near my house that is always one of the earliest to change -- I walked through some of its leaves as I took my morning walk today. Ah, yes, the first bittersweet blushes of fall. The first reds we're seeing are in a leaf or two of woodbine.